For decades, it's been common knowledge that people with sickle cell disease have built-in protection from malaria. Initially, it was assumed that this protection came in the form of actual resistance, prevention of infection. It wasn't until 2011 that researchers discovered that infection does indeed happen, but sickle cell disease hinders malaria from taking over. Essentially, malaria and the body coexist peacefully. And now, new research out of Howard University in Washington, D.C. shows that malaria may not be the only disease those with sickle cell are able to fend off more easily than others. 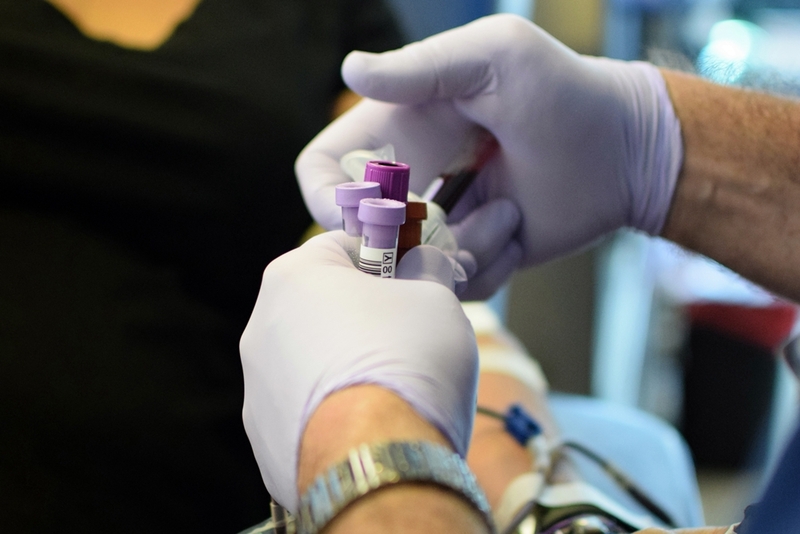 On Thursday (Jan. 26), scientists at Howard's Sickle Cell Center announced a breakthrough relating to why sickle cell warriors seem to contract HIV-1 at lower rates than others. Their study, which was published in the December issue of "Blood Advances," shows that the way iron is metabolized by sickle cell patients gives these same patients protection from HIV-1. In a statement to Howard's Office of University Communications, one of the lead researchers, Dr. Sergei Nekhai, said, "Understanding mechanisms of natural barriers for HIV-1 infection, such as these that we described in sickle cell disease, may open new therapeutic opportunities for treatment and may provide new approaches for the permanent cure of HIV-1 infection." For more information on this study and its findings, check out the full article here. Long before 1910 (the official year of sickle cell discovery in the United States) -- about 5,000 years, in fact -- SCD existed on the African continent. But even after almost 110 years of official recognition, people all over the world continue to die of the disease. A new effort to fix this is now happening at Boston Medical Center. There, a team of scientists is planning to develop a stem cell research library -- the largest of its kind -- that will hold blood samples of sickle cell warriors of all ethnic backgrounds, in hopes of making it easier to share advancements in sickle cell treatment and improve upon them. The stems cells used are called induced pluripotent stem cells (or iPSCs), which, according to Science Daily, "are cells that can renew indefinitely as undifferentiated cells and later can be directed to grow into any type of tissue or organ." Think of these cells as if they are a master key to the body. Just as master keys can unlock all doors to buildings, iPSCs can "unlock" production codes for all cells and body tissues, enabling the body to heal itself. Since these stem cells are self-renewing and can reproduce in such a way, they will also help develop disease models for testing. These capabilities will help researchers better understand how sickle cell disease works, so that in can be more effectively treated, and possibly cured. For more information on this new development, read Science Daily's full article here. At Chicago's DePaul University, there's a team of video game designers seeking to tackle more than the typical platform game. Led by Doris Carmen Rusch (founder and creative director of Play for Change), this crew - which is comprised of undergrads, grad students, and alumni -- has been developing a game called "Blood Myth" for the specific purpose of increasing sickle cell awareness. Reminiscent of "Dungeons & Dragons" with its folklore aspect, "Blood Myth" is being built in partnership with DePaul's athletic department. The game takes players into an imaginary world in which they must surmount obstacles on their quest toward the top of a magical mountain to discover the Blood Myth's truths. 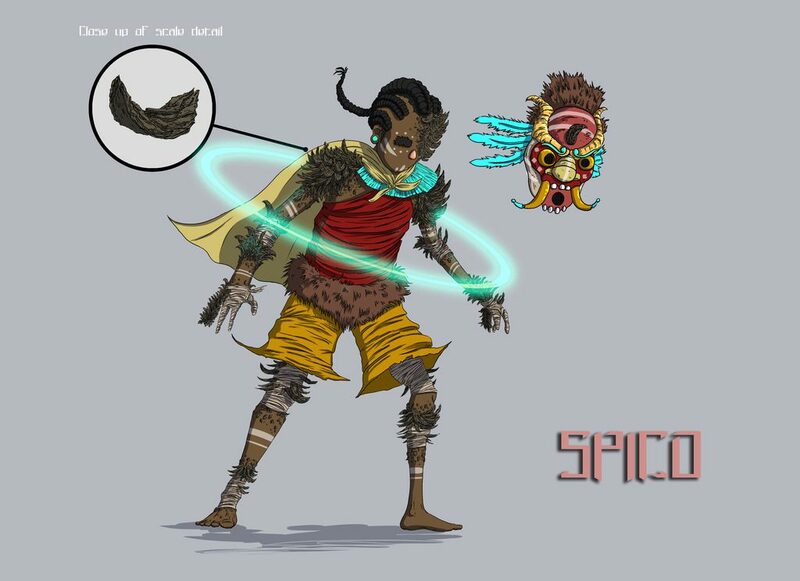 "'Blood Myth' aims to create empathy for people with sickle cell disease and remind people with sickle cell that however they may feel, they are not 'cursed," the game's website explains. "Play 4 Change aims to use 'Blood Myth' to increase adherence to crisis-prevention methods, self-care, and promotion of a life-affirming, hopeful perspective to those with sickle cell." Just yesterday (Jan. 8), Play for Change hosted a playtest for the new game, and according to recent Twitter updates, players enjoyed the storyline and the gameplay. For more updates on the game and when it will be released, follow Doris Carmen Rusch on Twitter and follow Play for Change on Facebook. New Year, new look doesn't just mean stocking your closet, home, and makeup bag with fresh finds. We at xickle.com also took the dawning of 2017 as a cue for a major upgrade. And we did it all with you in mind. An experience that's much more aesthetically pleasing? We've got that. A collection of articles that's easier to navigate than ever before? Yep, we've got that, too. Plus, you can now connect with us on Twitter and Facebook just by clicking the icons we've integrated into the site. But even more importantly, our redesign calls attention to what matters to you most: How Xickle RBC-Plus will actually help sickle cell warriors like you, your family, and your friends. The new homepage, for example, greets you with important information from our recent clinical study presented last month at the American Society of Hematology's annual conference (and also published the the ASH's journal "Blood"). A study that led Dr. Peter N. Gillette -- director of the adult sickle cell program at Downstate Medical Center in New York -- to conclude that “SCD-101 [the drug equivalent of Xickle RBC-Plus] is a promising new drug for the treatment of sickle cell disease, based on the results from the studies reported here ... Clinical benefits included reduced chronic pain and fatigue, improved sleep and improved ulcer healing." The new homepage also provides a look at testimonials and gives easy access to links where you can learn more about the product, our story, and sickle cell news in general. 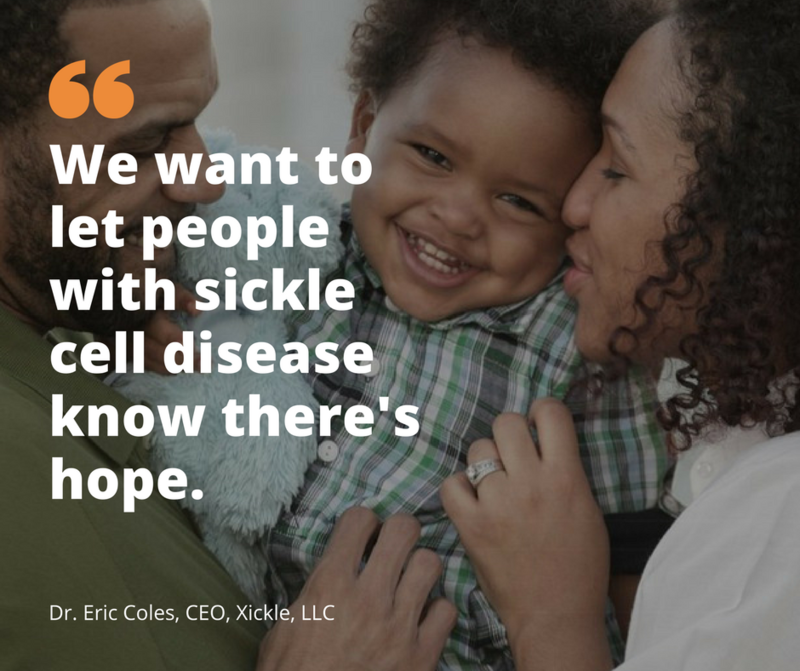 "We want to let people with sickle cell disease know there's hope," explains Dr. Eric Coles, Xickle's CEO. So, what are you waiting for? Check out some of our most popular posts below and experience our new design for yourself! We'd love to hear your thoughts on our new look! Hit us up via the contact form and tell us what you think. Happy New Year! We're only two days in to 2017, and already, there's been an amazing new advancement in the care of patients with sickle cell. Namely, pregnant patients with sickle cell. Of course, sickle cell warriors who are with child can face serious complications stemming from pulmonary hypertension and renal disease, among other things, but what's been even more worrisome is the death rate of these women during childbirth. In the West African country of Ghana, the maternal mortality rate has been 12 times higher than that of pregnant women without SCD. (The stats in the U.S. aren't too much better at 10 times higher.) But recently, a new hope has pushed through. A research team at Ghana's Korle-Bu Teaching Hospital has found a way to slash that mortality rate by 90 percent. Here's how: Each pregnant woman with sickle cell is now given a designated care team comprised of nurses, obstetricians, and blood and lung specialists, reports The New York Times. Additionally, doctors have put into place new practices, such as pre-cesarean blood transfusions and deep breathing exercises to combat chest pain and prevent lung collapse. We couldn't think of a better bit of news to kick off this new year right.